Yesterday afternoon Ma decided to clean out Cinnamon's cage. The weather was cool but not cold and the sun was shining. She let us all go out to get some sunlight and fresh air. 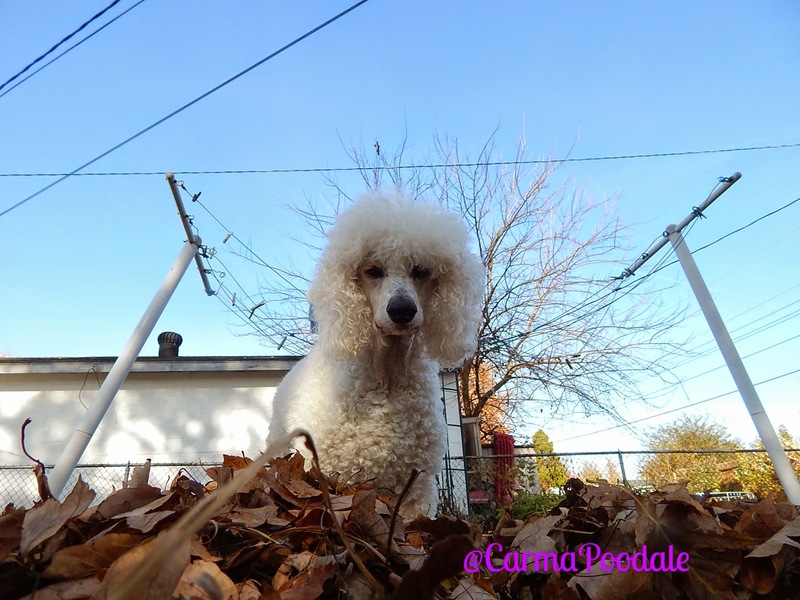 Ma and I played poodle ball (fetch) for a little while while Molly Mew explored the yard and Cinnamon nibbled on some grass. It felt good to get outside. 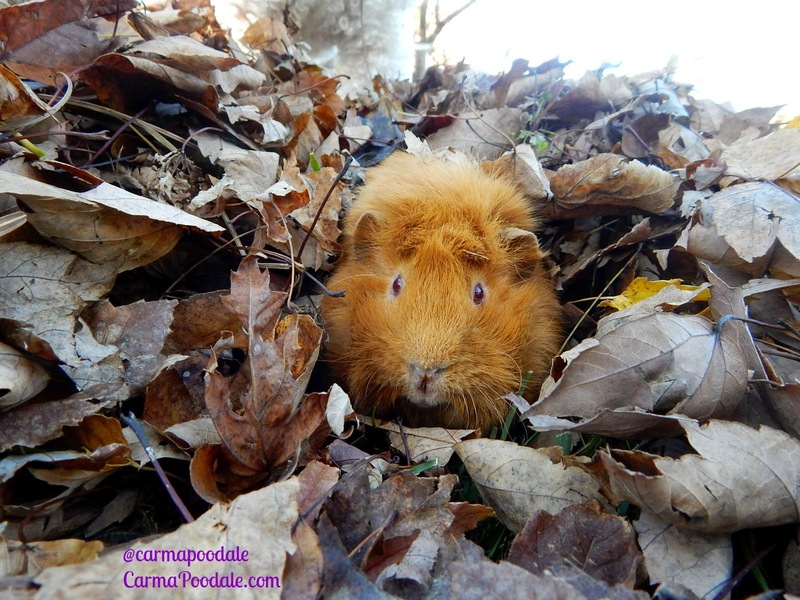 After ma cleaned Cinnamon's cage, she raked a few leaves away from around the pond. She took the cover off of the pond so she could clean the filter. The temps aren't cold enough to stop running the filter yet so the pond isn't officially closed. She keeps a screen over the pond to keep the leaves that are falling from going in the water. 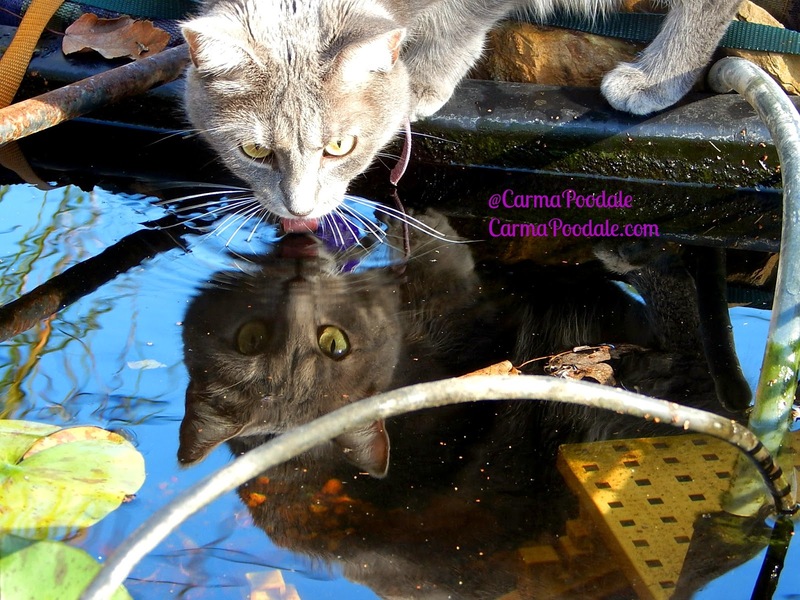 As soon as Molly Mew seen the cover was off the pond , she came running to get a drink. She loves to drink from the pond. Ma doesn't use chemicals in her pond so the water is safe. Cinnamon found that playing in the leaves could be fun. I don't think he remembered doing it last year or maybe he did. 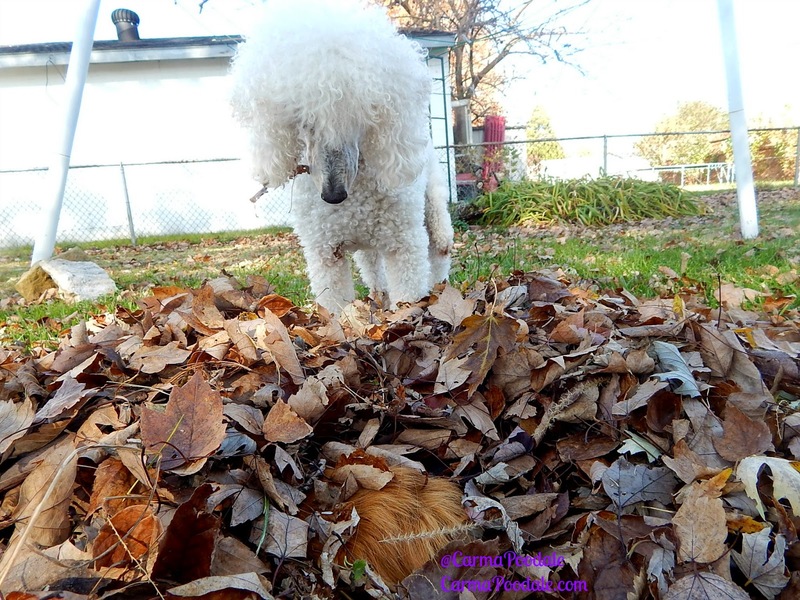 He would bulldoze through the leaves and then he would burrow. He was having himself a big time playing in them. After awhile ma said it was time to go in. She was afraid that the ground was getting to cold for Cinnamon. When she picked him up , he was talking up a storm. He wasn't ready to go in and neither was I . He talked her into letting us stay out longer. YAY! A little later he came out of his turtle shell and we played in the leaves again. The temps started falling and it was time to go in. It felt good to get outside and play. Our Sunday was a Funday even if it was just for a hour.